With gilt. 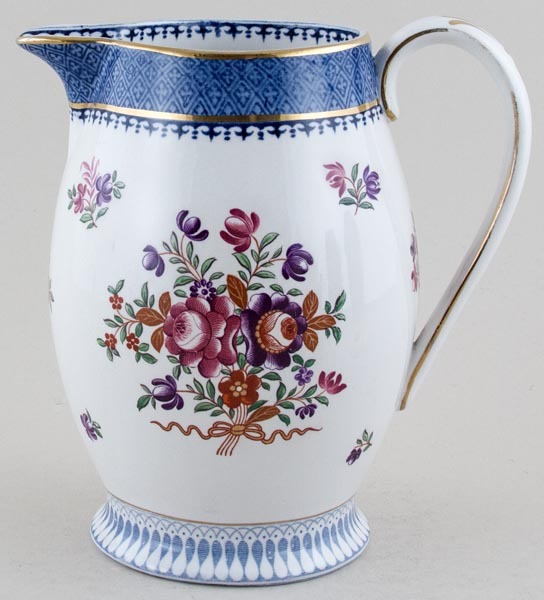 A fabulous large jug. Backstamp: Booths Silicon China England Lowestoft Border and in gilt No 9184. Light all over crazing and a little wear to the gilt otherwise excellent condition.